(AP) NEW YORK - With new public stock offerings for guitar maker Fender and travel booking website Kayak on deck next week, there are signs demand is starting to grow for IPOs after a five-week freeze triggered by a steep decline in financial markets and exacerbated by Facebook's (FB) rocky May 18 debut. Five companies are scheduled to go public next week alone, including Fender, Kayak, and Palo Alto Networks, a maker of computer network security products. 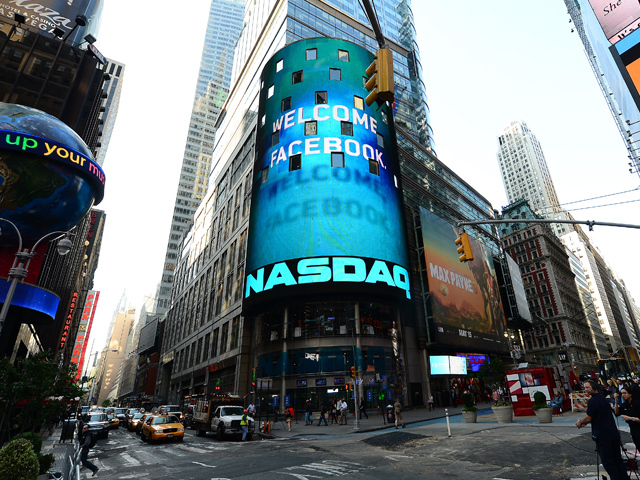 After Facebook, just four deals made it to market by the end of June, marking the longest stretch without an initial public offering of stock since August-October 2011. Stocks sank then in the wake of the U.S. debt limit showdown and a deepening European financial crisis. Is Twitter leaking to the media to primp for an IPO? There are 68 companies expected to raise $14.4 billion through IPOs later this year, according to research firm Dealogic, Last year at this time there were almost double that amount of companies 135, looking to raise $23.6 billion. "If the market stays healthy the overall market I think we will see a lot of IPO activity in the second half," said Nick Einhorn, an analyst with Renaissance Capital. But another plunge in stock markets could make it difficult for companies to raise money by selling shares. The types of companies that try to raise money will also affect the IPO market. Mutual funds and the other big investors who tend to buy IPO shares are less likely now to be attracted to technology companies like social networks and games maker Zynga Inc. (ZNGA) They've shifted to business technology companies such as Palo Alto Networks, which they consider more stable. Stocks of several of these kinds of companies have performed well since their IPOs. ServiceNow Inc. (NOW), a provider of so-called "cloud" technology services to companies, went public in late June, pricing at $18, above its expected range of $15 to $17. The stock has risen 34 percent from its debut. Jive Software Inc. (JIVE), which makes internal social networks for corporations, started trading in December and has climbed 56 percent from its IPO price. Well-known consumer brands also help drum up excitement for IPOs among retail investors, the "regular" people who buy and sell stocks. There are high hopes for Fender Musical Instruments Corp., the company behind the famous Fender Stratocaster electric guitars. It's looking to raise up to $160.5 million in its IPO next week. Several other consumer-oriented deals could ignite excitement later this year, said Morningstar analyst James Krapfel, citing Bloomin' Brands Inc., the owner of Outback Steakhouse; English professional soccer club Manchester United; and Coty Inc., maker of OPI nail polish and Jennifer Lopez perfume. Krapfel doesn't expect much demand for deals in industries sensitive to economic concerns and weak commodity prices such as industrial and energy companies. But even companies in industries considered appealing will have a hard time if the broader markets don't cooperate. Fears about the faltering global economy stalled the IPO market in May, when economic worries drove the Standard & Poor's 500 index down 6.3 percent. In June, the index rallied 4 percent, but the IPO market tends to lag the broader market and reacts to the prior month's decline. That's one reason experts like Einhorn remain wary. The S&P 500 is down 2 percent in July and a sluggish U.S. economy, signs of slowing growth in China and financial crises in Europe may douse enthusiasm. Also, summer is traditionally a slow time for making deals since many bank executives take vacation in July and August. And then there's the memory of Facebook's disappointing debut. The stock was expected to take off and ignite investor demand for other IPOs. Instead, it closed up just 23 cents from its IPO price of $38 on its first day of trading. The stock has fallen about 19 percent since then and now trades around $31. Facebook's decline after its long-awaited, highly anticipated IPO of the social network was "no question" a big negative for the IPO market, so the more time passes, the better, said Sam Hamadeh, the CEO of PrivCo, a research firm that follows privately held companies. Next week's scheduled IPOs include Fender, the travel website Kayak Software Corp., which expects to raise as much as $87.5 million; network security company Palo Alto Networks Inc., hoping to fetch as much as $229.4 million; Five Below Inc., a discount teen retailer, seeking to raise up to $134.4 million, and biotech company Durata Therapeutics Inc., which could raise up to $81.9 million.